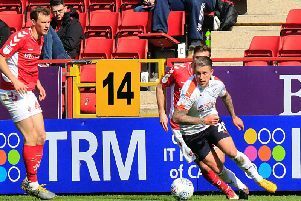 Luton Town can aim for the Premier League once Power Court is built according to chief executive Gary Sweet. He delivered a superb speech at the Luton Borough Council development control committee meeting last night, along with development director Michael Moran and 2020 Developments associate Steve McGrath, which saw councillors vote unanimously to pass the applications, drawing huge cheers from those in attendance. Sweet now believes the sky could be the limit for the side who are currently second in League One, saying: "Luton Town Football Club, we are doing fantastic, aren't we? "And that's because of the platform, the foundation, the culture we have created over the last 10 years to give the team the right backdrop, the right support and the right management to win games. "If we can do that in a new environment, with double the support, you can take the football club up a level plus. "There's absolutely no reason why we can't emulate a Leicester City, absolutely no reason. "People might think I'm dreaming, but absolutely no reason why we cannot do that. "Certainly the Premier League, in my view, could almost be a certainty if we were to relocate and move into Power Court." Meanwhile, Luton Town Supporters Trust chairman Tony Murray added: "I've been involved with so many fights over the years with protecting our football club, just to make sure it still exists. "Yes, the Premier League is a dream. It's a dream, but there's no reason why it can't happen. "However, you know, first things first. Let's walk before we run."